This recipe could not be easier, or taste better. I’d rather eat these than plain oreo’s. And I like them SO much better than I like cake balls. 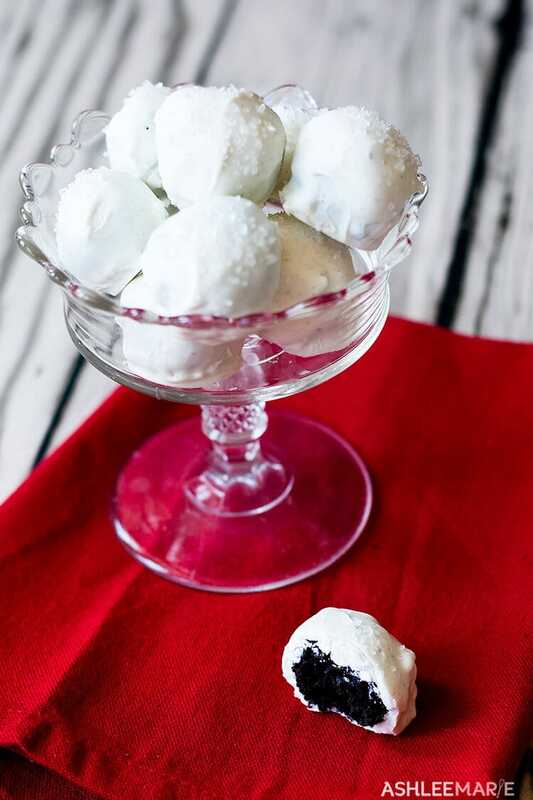 I use these for all parties, birthday’s, gatherings, etc… And since they are so easy to make they are my go too for a sweet snack when I’m craving something fast and simple. I wouldn’t call them truffles, which is what I was told they were the first time I tried them. 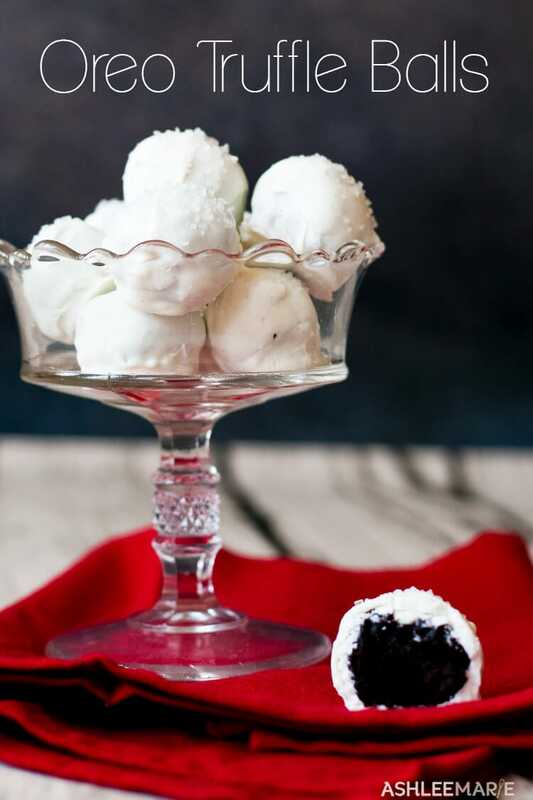 So I call them Oreo “truffle” balls. That’s it! 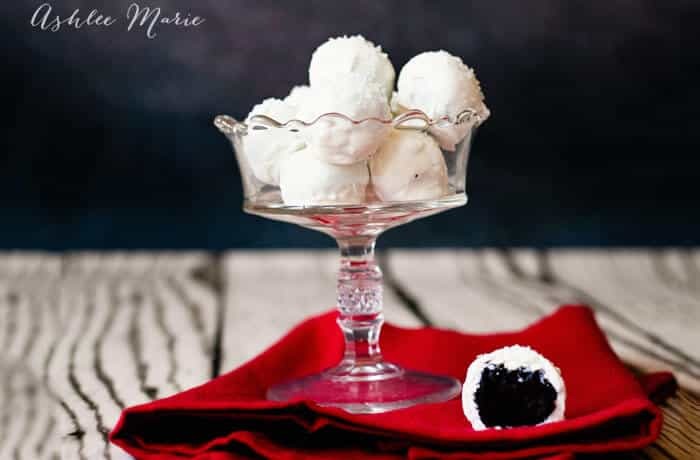 At first I thought these would make a great substitute for real truffles as a treat I could share with my husband and kids while I eat real truffles, but now I love them so much that I don’t want to share these either! I’m I totally bad??? I made a huge batch and ended up hiding them in the back of the fridge so I could keep them to myself! I’m a terrible share girl when it’s a treat I like this much! Thanks for taking time to send me the link. Sorry about that! I do have some dairy free stuff, but I tend to use lot of butter, cream, milk, etc… Maybe there is another way to mix them together? Any dairy free thick frosting should work okay! Do you remove the filling from the Oreos and just use the wafers?